EvilleCon Anime Convention Kicks Off Today! The Japanese anime convention, EvilleCon, is returning to Evansville. 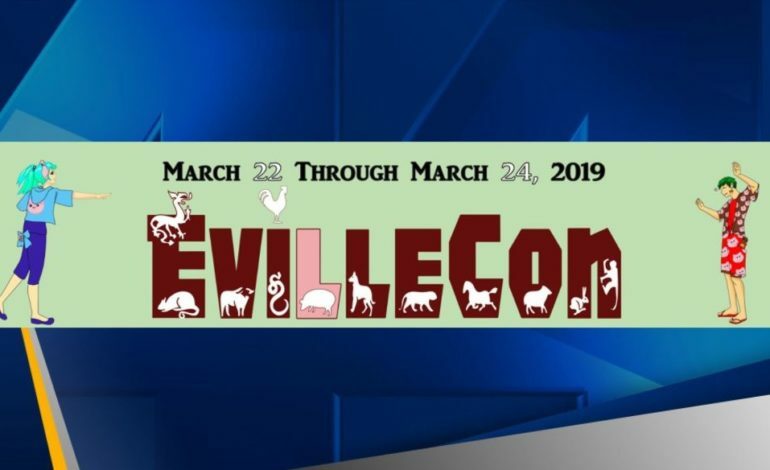 EvilleCon 2019 is set to take place March 22th to the 24th at the Holiday Inn Evansville Airport. Friday: 11 a.m. to 3 a.m.
Saturday: 8 a.m. to 3 a.m.
Sunday: 8:30 a.m. to 6 p.m.